Colorado Springs has so many fun events to attend all year around! It was hard to just pick 5 so I added a couple more to our favorites. The more and more I think about this page I feel like I will be adding more! We hope you enjoy them as much as we do! If you get a chance to Explore any of these please let us know what you think.. We love hearing and seeing how much fun you have in this Beautiful Place we call Home! Saint Patrick’s Day Parade~ Grab your Green and plan on staying awhile! This parade is almost 2hrs long and full of energy! You can start it off with the Fun Run or You have the option to sleep in because the parade doesn’t start until noon!!! Holiday~ All the Holiday Celebrations Here! Annual~ It is pretty Amazing how many Annual events take place in our own backyard! Cultural Calendar~ You can find some pretty neat places here! 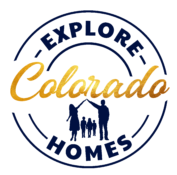 Colorado Springs~ Here you can get all sorts of valuable Info about Colorado Springs and things to do!